Average sales price was $362,000 spending approximately 79 days on the market. 114 were bank owned sold homes which is up 40% from last year. The absorption rate is now at 5.3 months of inventory which is falling from last year. Our current inventory of single family homes is a 5.7 month supply. Buyers did see multiple offers this year for mid range homes in Putnam County. Putting in a full price offer is not unheard of in this market. As inventory has fallen, the perfect home does not always show up at the right time. Knowing when a full price offer is appropriate is helpful. Your real estate agent can advise you to fair market value of a home. Losing out on a home for a few thousand dollars can be major loss. Buying a home requires you to fall in love with a house. Finding another match can be hard to do when inventory is low. Talk to your agent and review comps on any property you see. Knowing when the numbers make sense is key to winning a multi offer situation. 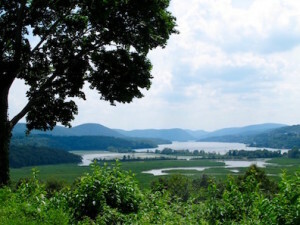 Recent sales in Putnam County New York vary a good deal in pricing. If you are looking to buy or sell a home in Putnam County, NY let’s talk. The newest listings of homes in Putnam County are found on this website. This search includes all single family properties on the HGMLS that are currently listed for sale, Please let me know what questions you have about the inventory, the process, or how to properly price your home to sell. I’m happy to help. Don’t miss our Homes on the Hudson River! Contact me now and I’ll search for you dream home.